The Hague Gemeentemuseum, designed by Dutch architect Hendrik Berlage is a milestone in contemporary architecture. The museum is most especially known for Mondriaan's work. This collection includes his early, realistic pieces as well as the piece de resistance, Victory Boogie Woogie. The Hague Gemeentemuseum opened its doors in 1935. After the fundamental renovation an annex was built, which now houses GEM and The Hague Museum of Photography. The Hague Gemeentemuseum was Berlage's final masterpiece; his crowning achievement of red-brick design. Due to the colourful tiles, bronze window frames and subtle details the interior is a real treat for the eye. 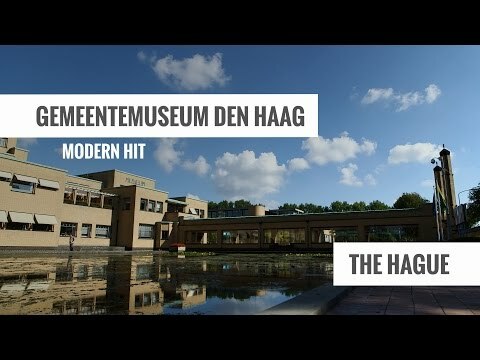 The Hague Gemeentemuseum is the place to be for a unique mix of arts, architecture, interior design and ancient style. The permanent collection contains modern art, fashion, music, decorative arts, a print room with about 50,000 drawings, and prints and posters. On top of that the museum has five large style rooms, each representing a different art period. The Hague Gemeentemuseum holds one of the world's leading collections of fashion items, an extensive music collection, and a decorative arts collection exhibited in Berlage's original display cabinets. The modern art collection provides a varied overview of developments in the fine arts since the early 19th century. Outstanding features in the collection are the great number of the Hague School paintings and a marvellous series of works by Mondriaan, Picasso, Monet, Cezanne and Kandinsky. As a whole, the collection traces the thrilling story of modern art - right through to today. Gemeentemuseum Den Haag is located in Statenkwartier nearby Scheveningen beach and is easy to reach by public transport, car and bike. From Den Haag Centraal Railway Station and Hollands Spoor, tram 16 will take you to the museum in approximately 20 minutes. From Station CS you can also take bus 24, which runs between Station Mariahoeve and Kijkduin. Gemeentemuseum can be reached by car via Utrechtsebaan towards Kijkduin. On arrival in the city follow the signs for 'Gemeentemuseum'. There are plenty of opportunities for free parking. If the car park should be full then paid parking is available in the World Forum parking garage at Churchillplein 10, which is about a 5-minute walk from Gemeentemuseum Den Haag.